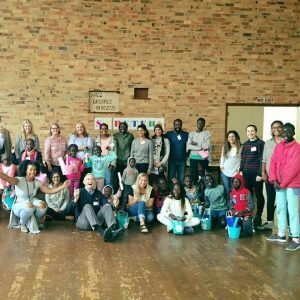 Saturday School has been running since 2008 through the support of Anglicare Victoria and the Anglican Parish of Box Hill. 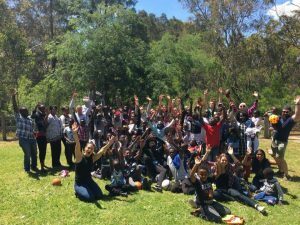 It aims to promote educational, cultural, community connectedness and life skills to Victoria’s migrant community. We aim to do this in a caring and loving environment, that champions independence, respect and friendship. We tutor and mentor students right from kinder up till year 12, every Saturday morning during the school term. We are relaxed and informal in our approach as we want the students to feel we are mentors and friends, rather than just formal educators. We provide the students with strong support for their schooling progression, as there are a number of social and economic factors that put them at a disadvantage. Our tutors are diverse in age and experience ranging from high school students to retirees. We also further have a partnership with Baker’s Delight Ashburton. Volunteers from Saturday School collect any unsold bread from the bakery on Friday evening. They sort it, hand slice it and deliver it to Saturday School for the families to take, as they need. We are located next to the Box Hill town hall at the St Peter’s Anglican Parish Box Hill, 1038 Whitehorse Road, Box Hill. At the back of the church there is parking for us and we are in the big Hall adjacent to the church.